Is there a way to make them work in NR2k3? Or does nr2k3 generate 1 type of rim in the game. The Problem is,if you are changing the Rim Mip File,...all cars will taken the changing. I am a Interested painter and will try every time to work out the best i can. But sometimes the way i like to go is not the way the game like. Thats the situations i hate most. During this work i can understand whats going on inside the game. I have a lot of fun with this kind of paintjobs. yup, it's either all cars or none unfortunately, the Indycar mod was the only one that had the wheels mapped to the template to allow that (I think, been a while since I looked at the code for that). In the race i can see a few driving with coloured rims. How can i alter the colour of the rims? Edit: found it. 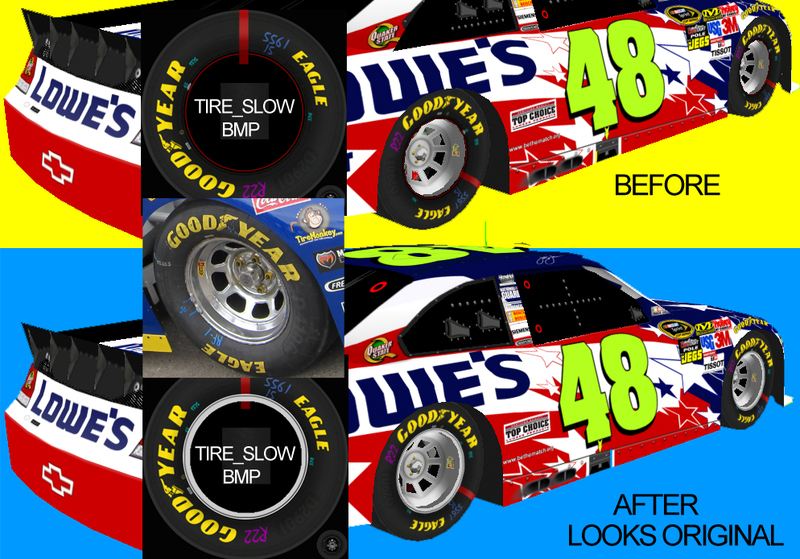 There is a mask layer which can be selected to color the rims. Cool.